The greatest human need is for love. It’s a legitimate need placed in us by our creator. When this need is not met, it can create a void so deep we go through life trying to fill it. It causes us to crave the approval and acceptance of others and drives us to engage in imbalanced relationships where we attach to unhealthy, emotionally unavailable people who often abuse and mistreat us. We will often compromise our morals, values, and beliefs for fear of losing them. This creates a vicious cycle of feeling used, devalued, unappreciated, victimized opening the door to bitterness, resentments, unforgiveness, and hopelessness. 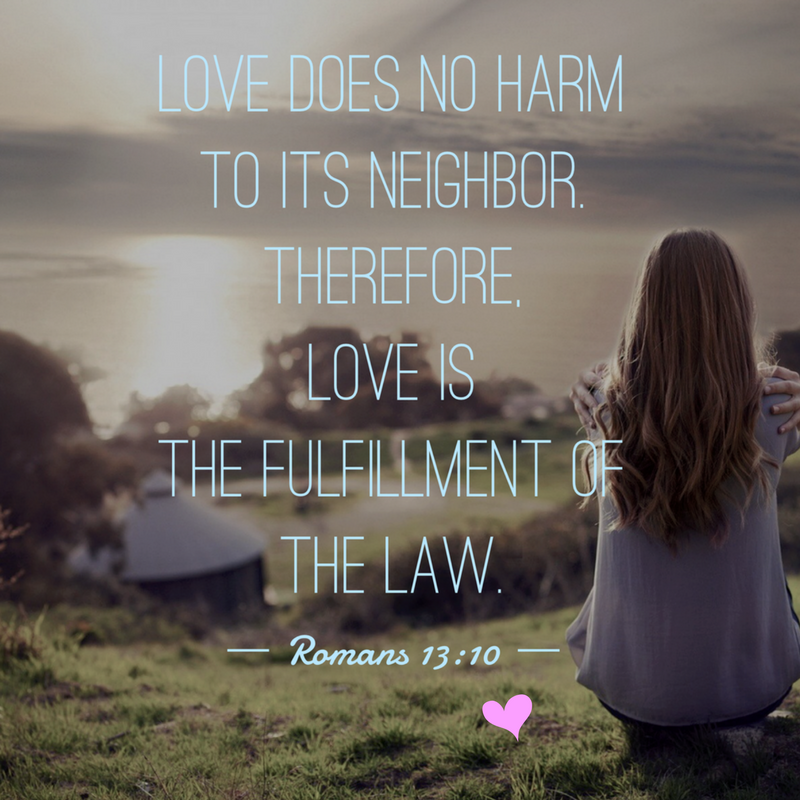 The only way to stop the cycle is to get a healthy dose of real love – the love of Jesus. Love seeks the highest good for another. Our Savior demonstrated His perfect love for us at the cross. We will never be able to engage in healthy relationships unless we receive the fullness of God’s love. Only His love satisfies. 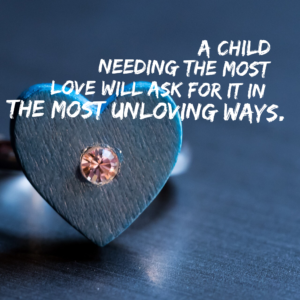 If you are desperately seeking the love and approval of those who continually hurt you it may be a sign that you have not encountered the Love of Jesus in your heart where you see yourself as He sees you – A precious child of the Living God. When you remove barriers that hinder the ability to live in the fullness of His love for you, it will radically change the people you attract and allow close to your heart. You will desire to engage in relationships that honor God, bless you and seek the highest good for others. People in love engage in healthy mutually satisfying give and take relationships. They want the best for each other and bring out the best in each other. They know that love requires sacrifice from time to time and they know what it means to die to self. They don’t expect the other person to fulfill all their needs because they understand that no human being is even capable of doing that only God can. Only His love truly satisfies. People in love are emotionally healthy individuals who find their value and worth in Christ alone not looking to others for self-worth and identity. True love brings forth life and grows deeper and stronger with time. People in need operate out of a brokenness not wholeness. They attach themselves to unhealthy people who they think have the power to meet their desperate need for love, security, and significance. But because brokenness attracts brokenness they tend to draw emotionally unavailable people, who are often abusive, struggling with addictions or have an array of other issues, who do more taking than giving and are incapable of meeting even the basic of needs required for a healthy relationship. This causes a lot of pain and heartache and brings forth death and destruction resulting in extremely toxic and unhealthy relationships that only get worse with time. And yes! Even Christians can operate out of need instead of love. The church is full of hurting people involved in unhealthy relationships. Are you in love or are you in need? 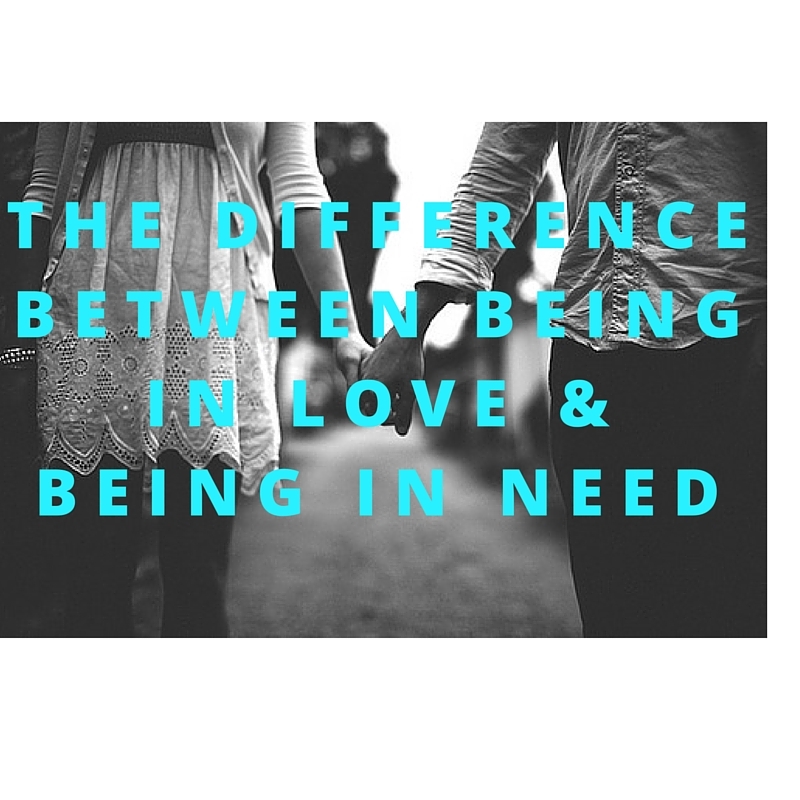 If you are in the latter, understand that relationships will not work until you start operation out love. Sadly many Christians don’t truly understand what love is because they have never been modeled it, never have experienced it. They don’t know their value and worth as a precious child of God because their basic human need for love was not met growing up. So they take matters into their own hands and like the song says go searching for love in all the wrong places and settle for the counterfeit version that never satisfies. 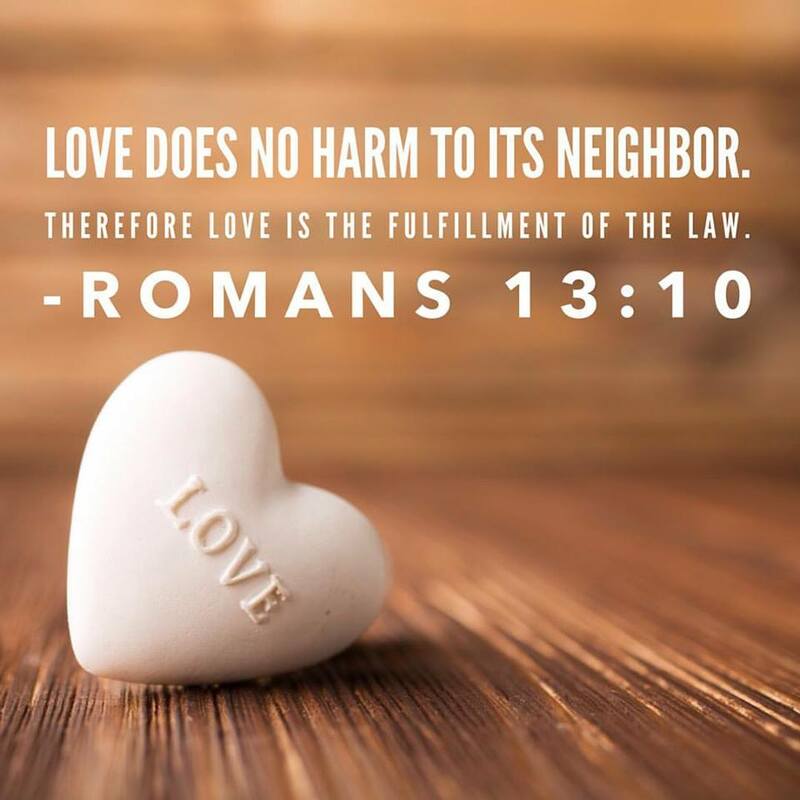 Oswald Chambers wrote – “No love of the natural heart is safe unless the human heart has been satisfied by God first.” The love of God has the power to change us from the inside out. But there is a marked difference between knowing about the love of God and receiving it into our hearts. 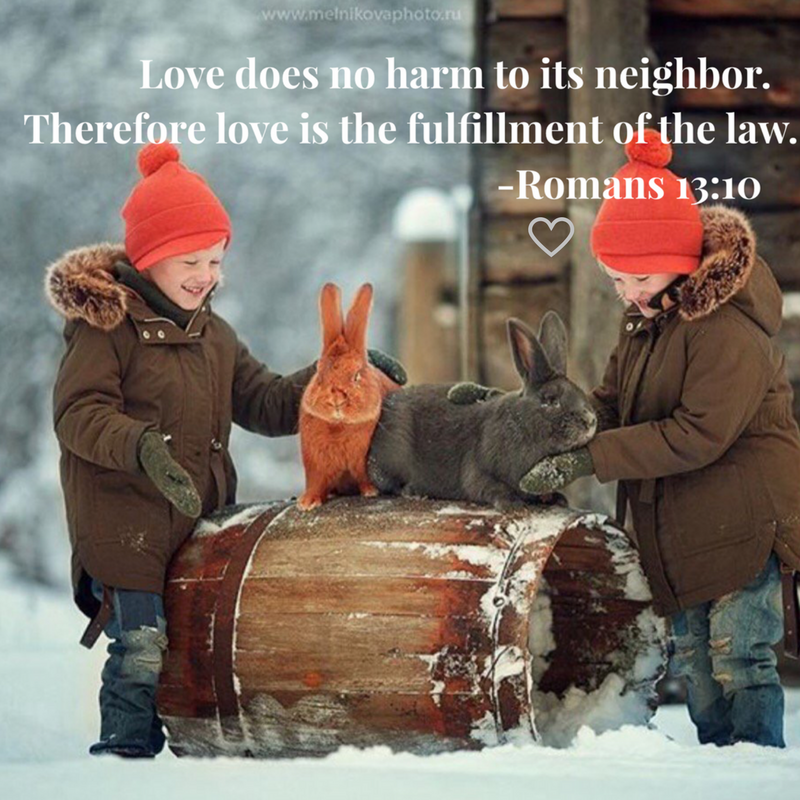 It is only when we truly encounter and accept the authentic, undefiled Agape love of our Savior that we are then able to “Love the Lord with all our hearts, soul, mind, and strength and love others as ourselves.” (Mark 12:30). This is the key to engaging in healthy mutually satisfying relationships. It’s the biblical formula that has the power to heal and transform and empower us to engage in love based not need based relationships. The greatest human need is for love. It’s a legitimate need placed in us by our creator. When this need is not met it can create a void so deep we go through life trying to fill it. It causes us to crave the approval and acceptance of others and drives us to engage in imbalanced relationships where we attach to unhealthy, emotionally unavailable people who often abuse and mistreat us. We will often compromise our morals, values, and beliefs for fear of losing them.This creates a vicious cycle of feeling used, devalued, unappreciated, victimized opening the door to bitterness, resentments, unforgiveness, and hopelessness. The only way to stop the cycle is to get a healthy dose of real love – the love of Jesus. Love seeks the highest good for another. Our Savior demonstrated this perfectly at the cross. We will never be able to engage in healthy relationships unless we receive the fullness of God’s love. Only His love satisfies. Emotional pain is the scourge of the heart and soul. Emotional pain eats away at our humanity. Emotional pain is a burden taking away the quality of our life and most assuredly our emotional pain weighs us down. When we are burdened by our emotional pain we need to lighten the burden. When we hurt, we need a way to take some of the weight off our heart and soul. 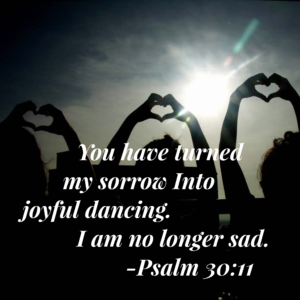 There is a way to lighten our burden of emotional pain. The way to lighten our load is to tune into the upward pulling force of Jesus. If you let Him, Jesus is always pulling upward upon your heart. If you let Him, Jesus is always pulling upward upon your burden. Jesus, in His love, is always pulling your burden upward toward Heaven. Jesus is now with you and He is now supporting you, guiding you, and giving you hope as He pulls you upward. In our emotional pain, we need hope things will change. 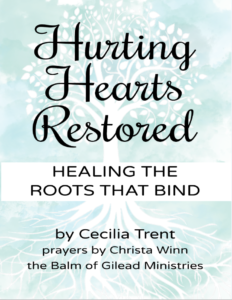 If there is one supernatural ingredient Christ brings to all of us in our pain, it is hope. Jesus did not come to our world to push you down but to pull you up. Now, take your emotional burden and hold your burden out to Him. Hold your burden out so His light and love can shine into your heart. As you hold your burden out in front of you, watch as Jesus comes and places His healing hands of power upon your hurt…and see His light and love pulling your emotional hurt over to Him…lightening your load, lightening your burden, and lightening your pain. Every human being is born with three basic God-given needs for love, security, and significance. When these needs aren’t met it creates a void begging to be filled. Wherever there is a void, it is going to be filled with something even it’s destructive. Because basic needs, especially for love, weren’t met this causes people to have faulty core beliefs about themselves and therefore often settle for relationships that are emotionally unavailable and imbalanced which creates conflict at all levels leading to emotional pain and frustration. It’s not your job to fix someone else. It’s not their job to fix or complete you. It’s God’s job. Only the One who created us has the power to change, fix, complete, and satisfy us with His unfailing love. Don’t set others up for failure to do what only God is able to do. You will live with constant disappointment. The greatest human need is for love. It’s a legitimate need placed in us by our creator. When this need is not met it can create a void so deep we go through life trying to fill it.It causes us to crave the approval and acceptance of others and drives us to engage in imbalanced relationships where we attach to unhealthy, emotionally unavailable people who often abuse and mistreat us. We will often compromise our morals, values, and beliefs for fear of losing them. This creates a vicious cycle of feeling used, devalued, unappreciated, victimized opening the door to bitterness, resentments, unforgiveness, and hopelessness. 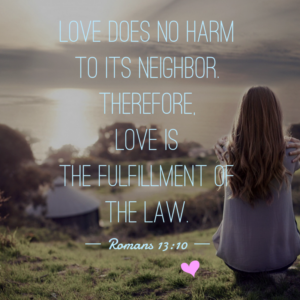 The only way to stop the cycle is to get a healthy dose of real love – the love of Jesus. Love seeks the highest good for another. Our Savior demonstrated this perfectly at the cross. We will never be able to engage in healthy relationships unless we receive the fullness of God’s love. Only His love satisfies. 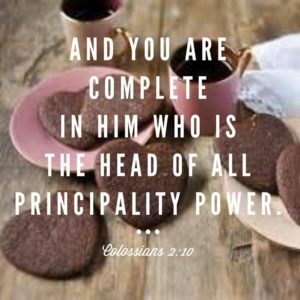 If you are desperately seeking the love and approval of those who continually hurt you it may be a sign that you have not encountered the Love of Jesus in your heart where you see yourself as He sees you – A precious child of the Living God. It is absolutely true that hurting people hurt people. Don’t be quick to judge the behavior on the surface and not see the need below. When children feel unwanted, unheard, not valuable, incapable, powerless, or hurt, they often lash out. Parents love your children well. 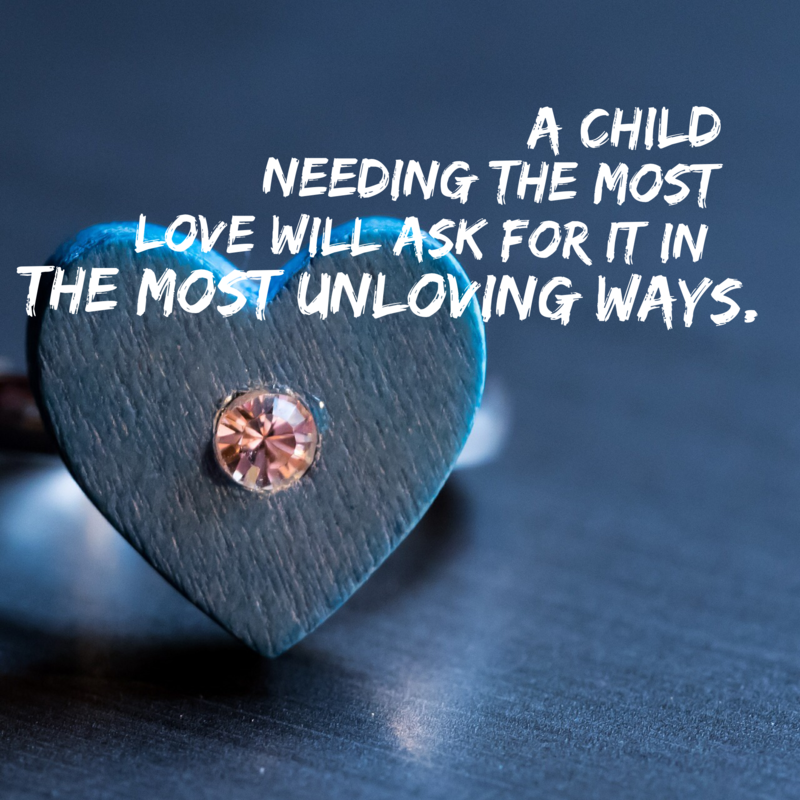 The lack of love will damage a child emotionally and will have consequences throughout their lives affecting their own children. Stop the generational sins. You cannot do it alone. Put on God’s love. His love is perfect. 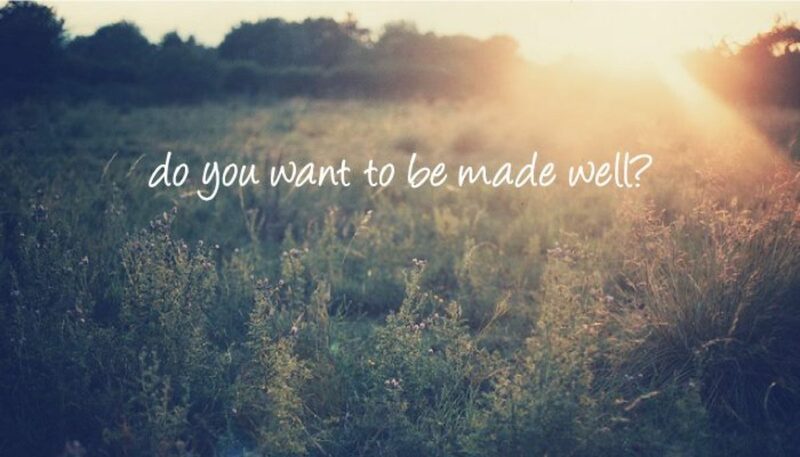 It leads towholeness. Jesus makes broken things new. Love & Need What’s The Difference? People in love engage in healthy mutually satisfying give and take relationships. They want the best for each other and bring out the best in each other. They know that love requires sacrifice from time to time and they know what it means to die to self. They don’t expect the other person to fulfill all their needs because they understand that no human being is even capable of doing that because only God can meet all our needs. Only His love truly satisfies. People in love are emotionally healthy individuals who find their value and worth in Christ alone not looking to others for self-worth and identity. True love brings forth life and grows deeper and stronger with time. People in need operate out of a brokenness not wholeness. They attach themselves to unhealthy people who they think have the power to meet their desperate need for love, security and significance. But because brokenness attracts brokenness they tend to draw emotionally unavailable people, who are often abusive, struggling with addictions or have an array of other issues, who do more taking than giving and are incapable of meeting even the basic of needs required for a healthy relationship. This causes a lot of pain and heartache and brings forth death and destruction resulting in extremely toxic and unhealthy relationships that only get worse with time. And yes! Even Christians can operate out of need instead of love. The church is full of hurting people involved in unhealthy relationships. Are you in love or are you in need? If you are in the latter understand that relationships will not work until you start operation out love. Sadly many Christians don’t truly understand what love is because they have never been modeled it, never have experienced it. They don’t know their value and worth as a precious child of God because their basic human need for love was not met growing up. So they take matters into their own hands and like the song says go searching for love in all the wrong places and settle for the counterfeit version that never satisfies. Author CeceSurfCityUsaPosted on December 29, 2015 December 29, 2015 Categories UncategorizedTags Unhealthy LoveLeave a comment on Love & Need What’s The Difference?